interesting facts with the reader. 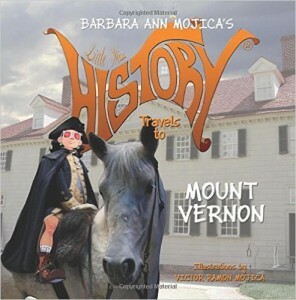 The story is long enough to explore Mount Vernon’s hidden gems, and it’s paced beautifully to keep a young kid’s attention. of Mount Vernon. Some of the illustrations are more transparent and giving the reader a ghostly feel. It’s very appropriate, in my opinion. I specifically liked the illustration featuring Little Miss History reaction to the “Nessacary house”. It’s so funny!